This modern two-bedroom apartment ensures comfort and privacy. You’ll love entertaining courtesy of your gourmet kitchen with the added bonus of a spacious living and dining area, spilling out onto your expansive balcony, overlooking the estate. Thoughtful inclusions such as study nook, split system A/C in the living room and a separate, full-size bath and shower make this the perfect retreat. 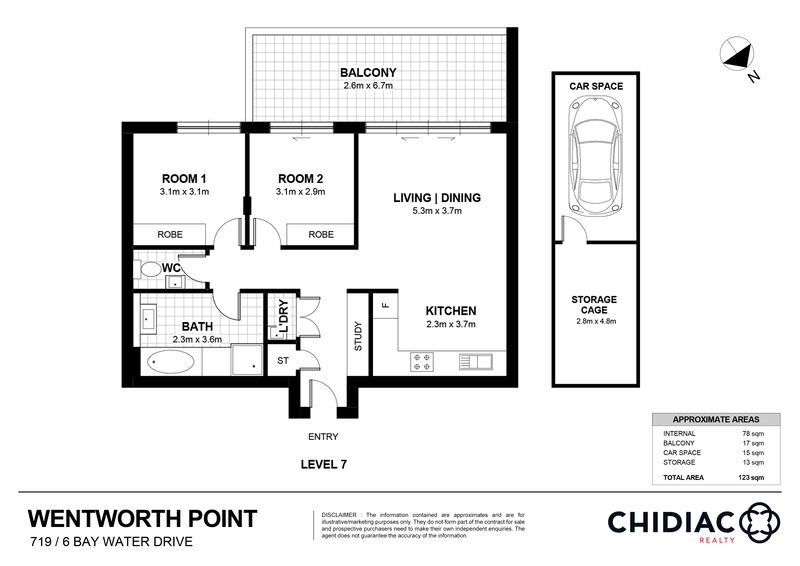 Enviably located with Marina Square Shopping Centre, ferry and Bennelong Bridge within a short distance plus bus-stop and Bay-Link Shuttle an easy walk away, you’ll love the effortless living afforded by your new home. Contact Cristian Malgioglio on 0433 111 229 or Alex Chidiac on 0439 555 999 for any questions or to book in a time to inspect this gorgeous property. Alexander is trusted by some of Sydney’s most astute property investors. A hardworking ethos and high attention to detail underpin his track record of successful property sales, with less time on market and many ‘off-market’ transactions earning Alex a loyal clientele, referrals and repeat business. Specialising in residential apartments in the Wentworth Point region of Sydney, Alex also has years of hands-on experience in sales, leasing and property management throughout the Inner West. As a licensed real estate agent with property services qualifications, he is also able to advise landlords on investment potential and provide insight on market conditions. Committed to achieving the best result – particularly in slower markets – Alex devotes time and energy to ensure properties are presented at their best. Driven by a commitment to service excellence, he builds long-lasting relationships with clients and professional networks that deliver significant value for vendors and buyers alike.